We believe that it’s only through understanding ourselves and developing greater self-awareness that we can lead others and gain the trust and respect of both followers and colleagues. At The Cognitive Fitness Consultancy we help you to understand yourself and others better, so helping you to become an inspiring and effective leader. Our training and consultancy is based on the belief that how we prefer to think drives our behaviour, affecting how we approach tasks at work, how we interact with our colleagues and how we lead and manage. Using our range of tools, coaching and development programmes we help you identify your own thinking style preferences, understand how to identify and respect the preferences of others and develop flexibility, to become Cognitively Fit. We are fortunate to have a team of highly experienced trainers, consultants and coaches working with us - find out about us below. Click here to see a current list of some of our clients who have used our consultancy services and our psychometric products. Fiona is the creator of the 3 Peaks Leadership Development Programme and the Managing Director of The Cognitive Fitness Consultancy. A business psychologist and highly experienced trainer and development consultant, Fiona is also the author of the psychometrics Thinking Styles® and Cognitive Team Roles™ as well as the diagnostic instruments Think Smart™ and Cognitive Gap Analysis™. Fiona has tremendous expertise in understanding how individuals’ thinking preferences drive their behaviour and the impact these preferences have on their motivation, values and relationships at work. 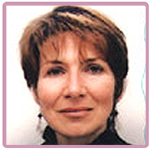 Fiona has recently completed her PhD, having undertaken her doctoral research in the area of Authentic Leadership. Sarah is the lead trainer and consultant for 3 Peaks Leadership. Sarah is a highly experienced business consultant and organisational coach with a background in learning development, psychology and communication. Passionate about the potential of people, she works creatively with top teams to align the Vision and Values of business to engage people throughout the organisation. Sarah focuses on leadership and also is an accredited trainer of NLP trainers running business and learning orientated Practitioner and Master Practitioner programmes. Organisations she has worked with include IBM, British Airways, O2, WH Smith, Phillip Morris International and Ernst Young. 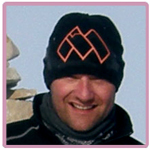 Phil is our lead trainer and project co-ordinator for outdoor team-building events. He will be managing the 3 Peaks Leadership Challenge. Phil is a highly experienced expedition leader who started at the John Ridgeway Adventure School before leading expeditions to South America and Africa as part of World Challenge. Over the last 5 years Phil has been involved in the annual Polar Challenge, in 2007 helping to train the Top Gear team as part of their Challenge to the North Pole. He is Logistics Manager for the 2008 Amundsen Omega 3 South Pole race which includes Ben Fogle and James Cracknell. He is also project co-ordinator for outdoor team-building events. Julia is the overall project organiser and co-ordinator for 3 Peaks Leadership. Julia will be participating in some of the training and in the 3 Peaks Leadership Challenge itself. 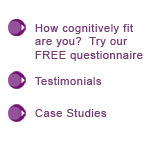 She is also overall project manager for The Cognitive Fitness Consultancy. Julia was an experienced senior manager and team leader in the commercial department of a major transport business before leaving to work for The Cognitive Fitness Consultancy. She has worked with Fiona on the development of Thinking Styles, Cognitive Team Roles and Think Smart. 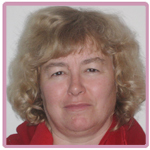 She is currently responsible for the web site and new product development and is undertaking a PhD with the University of Hull on the psychometric validation of Thinking Styles. 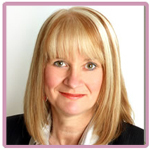 Ann Skidmore has trained, coached, mentored and developed over 7,000 people in various industries such as the health service, the airport industry, financial services sector, I.T., manufacturing, education, leisure industry, coaching industry, retailing and sales. 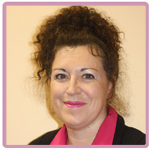 Ann is a Fellow of the RSA and the Chartered Institute of Personnel and Development. She was one of the first people to be qualified in the U.K. as NLP Coach in 2001 and is now a Certified Trainer of NLP. After over 14 years of HR experience in leading, managing and motivating individuals and teams to achieve high levels of success and business performance, Ann set up her own company. Over the last 8 years Ann has delivered leadership and management development programmes for a variety of private and public sector organizations. These programmes have enabled her clients to become more successful in the way they manage their teams, businesses and of course themselves. Ann uses her background expertise and experience in business psychology, neurolinguistic programming and common sense to bring about practical and lasting change for her clients and their companies. 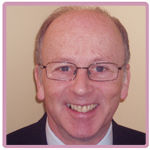 Mike is a qualified Trainer, Facilitator, Coach, Occupational Assessor and individual and team development specialist with over thirty years direct involvement in influencing best practice in human resource and change management. He has worked in over twenty business sectors including: Healthcare, Banking, Manufacturing, Logistics, Telecommunications, Executive Recruitment, Television, Brewing, Retailing and the Voluntary sector. 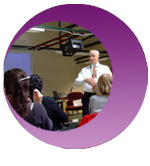 During his career he has worked as both an Internal and External Lead Consultant and as such has project managed a wide range of human resource assignments, including: Assessment and Development Centre design and implementation, Senior Practice Leader selection, Executive and Leadership Coaching, Creation of Learning and High Performance Climates, Supervisory and Key People development. He has also undertaken a number of major, long-term transformational change projects in partnership with leading industry players, national awarding bodies and corporate senior managers. His proactive, innovative style has resulted in him being entered for a number of prestigious awards – including: The Daily Telegraph/IPM Innovation Award, The National Training Award and the Grand Metropolitan Group Creativity Prize. Mike also adopts a practical, down-to-earth approach with his clients and believes strongly in the use of continual performance feedback. Mike is particularly interested in developing leadership skills, working with emotional intelligence, team building issues and with developing change agents, learning champions and consultancy expertise.